Eating a healthy diet is a very wise thing to do. Start in time so you won't have to deal with it when it almost is too late... Cook at home, have salads, fruit and herbal tea. Sounds easy enough? Yes, doing that can definitely help you heal. Because of the food's anti-inflammatory properties. Of course ideally you wold focus on a detox diet first, but not everyone is prepared to do that. Antioxidants from food plus healthy omega 3 fats will naturally reduce the inflammation that could be the root of many health issue. 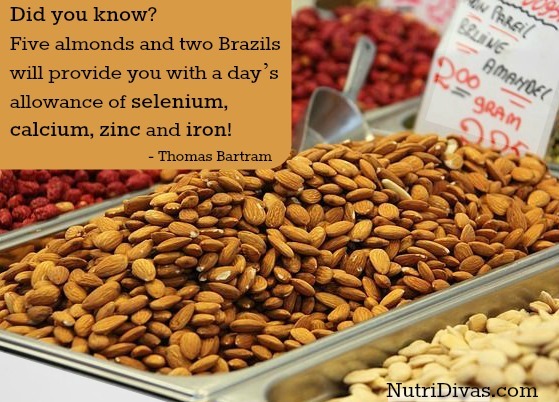 So make sure you have a few walnuts and some flax seeds regularly, to benefit from their good fats. Below you'll find an article by a very courageous woman who is doing just that - healing naturally. What you'll need to do in addition to having all that healthy food, are some other changes in your life that can help with the absorption of the nutrients in the food. making a habit of taking a walk every day, because that helps your body absorb nutrients better and it also helps with digestion and even with keeping your brain healthy! it made me stop and reevaluate everything. I had a bone marrow biopsy on a Tuesday and received my final diagnosis that Friday, but my doctor was sure it was some kind of leukemia from the start. In those first three days I spent a few hours on denial and anger then moved immediately on to acceptance and grief. But I couldn't stop asking myself, how and why did I end up here? At the time, I was an RN doing home hospice care and dealing with death and dying every day. I was good at my job, but maybe it was affecting me more than I allowed myself to realize. My mom quoted an article about compassion exhaustion in nurses. Was that it? Was it the 8 years I spent working in histology laboratories exposed to formaldehyde and xylene? I was eating a healthy diet most of the time, lots of veggies and organic food, but had been indulging in pizza and Chinese food a little more than usual. I love food and I wasn't skinny, but definitely not overweight either. I had been doing kick boxing for a few months and you might have called my body type athletic or maybe robust. In the three weeks leading up to my diagnosis I lost nearly 20 pounds. My husband and I had bought a house 16 months earlier and moved his nursery business there along with everything else. Besides my full time hospice job, I managed his business and spent many hours establishing a little organic farm and market at our new place. I worked harder during that time than I ever had before. I also knew I wanted to transition into a career in wellness, but I just couldn't find my path and had resigned myself to the situation. Whatever the reason, I knew in my heart that there was only one way for me to get through this. 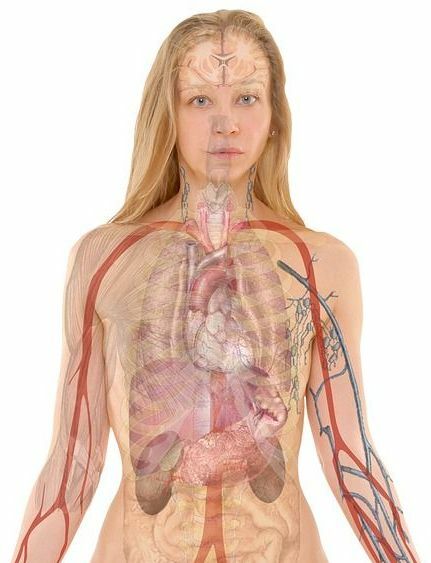 My intuition told me to make drastic changes in my diet and lifestyle, seek out the best holistic medicine I could find, and stay away from conventional treatments. 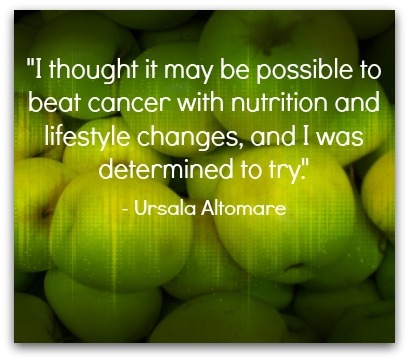 I thought it may be possible to beat cancer with nutrition and lifestyle changes, and I was determined to try. I persuaded my doctor to have me discharged from the hospital so I could get my affairs in order, and I only told him of my plan at my first office visit 2 days later. I don't remember being fearful of death in the beginning, but I was definitely not ready to go. 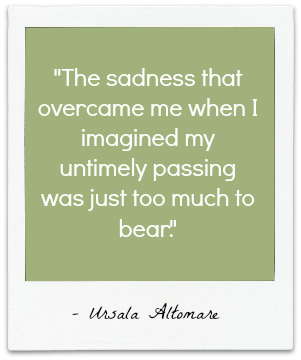 The sadness that overcame me when I imagined my untimely passing was just too much to bear. I tried my best to put those thoughts out of my head. How do the changes in her diet look like? What does she eat? Continue reading on the next page! Another article to read: Healthy Diet Eat Clean - What to eat to calm inflammation. 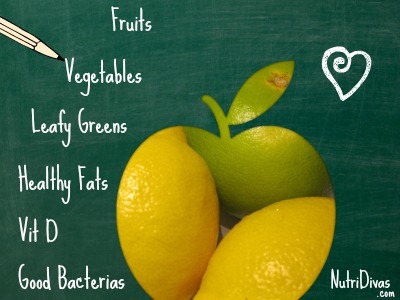 What is a Detox Diet page. And did you check out the Healthy Body Detox page?